I made this paper to go with the Solve It! game from Lakeshore mostly because I lost the copy that was supposed to be with the set. 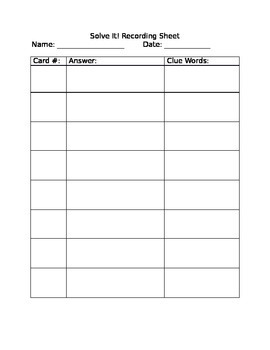 But this recording sheet can be used with really any word problems you find (from a workbook, flashcards, etc. ).